We're beaming. Rays of light. Onto you. 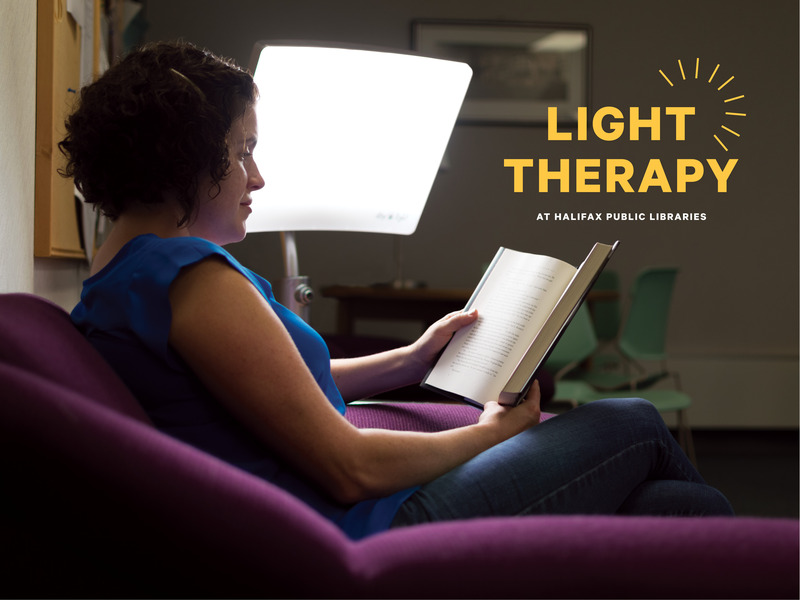 You may have heard the news: Light Therapy lamps are now available for you to use at all branches of Halifax Public Libraries, and for borrowing. Light Therapy lamps are designed to mimic spring and summer light levels. Sitting in front of a lamp for 20 to 30 minutes can help ease symptoms of the “winter blues” and clinically diagnosed seasonal affective disorder (SAD). If you're one of many Nova Scotians who need some extra sunshine through our long winter months, you can find your light at the Library. 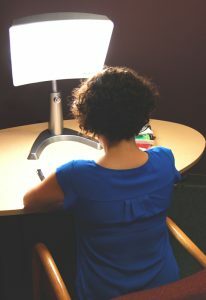 To book time with an in-branch Light Therapy station, visit any Halifax Public Libraries location and talk to our friendly staff. To borrow a Light Therapy To-Go lamp, place a hold through our catalogue or by talking to a staff member. You'll review our Light Therapy Safety Facts and Disclaimer carefully before using a lamp. Once you're all set, take a seat about 2 feet away from the lamp. Turn on the lamp. Do not stare directly into the light. Adjust the lamp to suit your position. The lamp head should be angled at about 30° from vertical and your face should be aligned with the approximate centre of the lamp. Read or work in front of the lamp for 20 to 30 minutes. Soak in the rays. Turn off the lamp when you're done. Repeat daily or as desired. Tell your friends. Share your feedback with us.